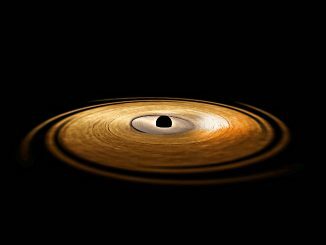 An artist’s impression of a black hole, similar to V404 Cygni, devouring material from an orbiting companion star. Image credit: ESO / L. Calçada. 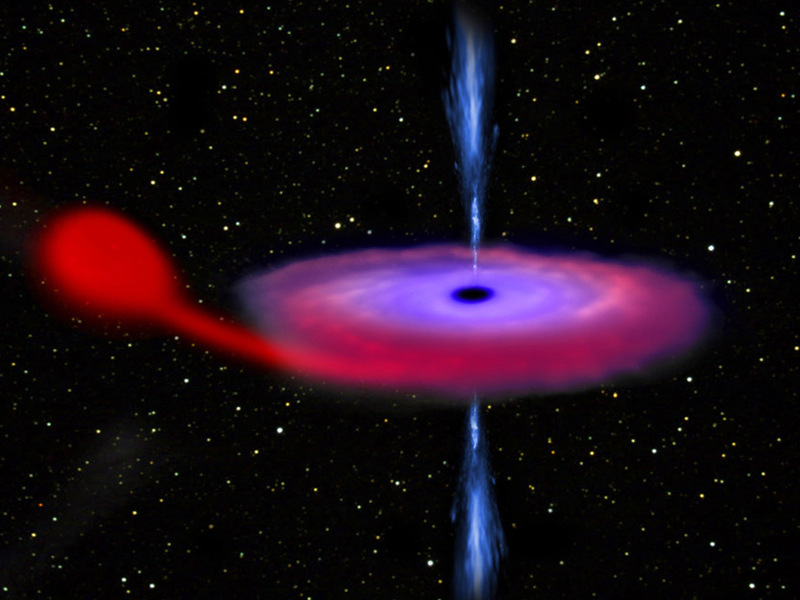 In June 2015, a black hole called V404 Cygni underwent dramatic brightening for about two weeks, as it devoured material that it had stripped off an orbiting companion star. 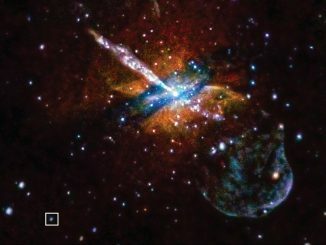 Violent red flashes, lasting just fractions of a second, were observed during the flare-up — one of the brightest black hole outbursts in recent years. V404 Cygni, which is about 7,800 light-years from Earth, was the first definitive black hole to be identified in our Galaxy and can appear extremely bright when it is actively devouring material. 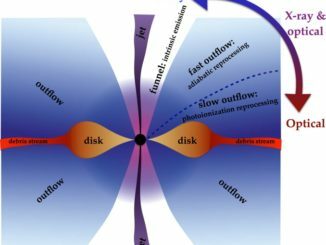 Black holes devouring nearby stars generate a variety of effects, but a new model suggests what is seen on Earth depends on the hole’s orientation and the viewing angle. Surveys are planned to search for more such tidal disruption events.